1) Slow down and look for other users of the road. Speeding is a big factor in many roadway accidents. Slowing down ensures that you have time and room to stop suddenly if you need to in order to avoid a collision. It is especially important to slow down at intersections; many intersection accidents in Hollywood and other cities happen because drivers are too impatient. Slowing down ensures that you can see other users of the road in time. 2) Be aware – and ready – when other drivers are not courteous. Of course, we expect other users of the road to be courteous and safe. Unfortunately, some users of the road are not responsible. Pedestrians may dart out between cars, other car drivers may drive erratically, and motorcyclists may weave around traffic or even drag race in places. You are not responsible for other motorists’ poor decisions, but you can sometimes prevent injury to yourself and your passengers by looking out for hazards along the way. 3) Always drive sober and never drive distracted. Drunk driving is a major contributor to car collisions and motorcycle crashes. Drinking affects your judgment, response times, and your ability to drive. Distraction – whether caused by strong emotions, daydreaming, or a mobile device – acts in a similar way, affecting response times and your ability to spot others on the road. 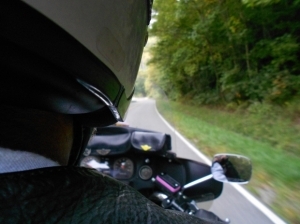 When you drive distracted or drunk, motorcyclists and pedestrians are especially vulnerable since they use up less room on the road when compared with trucks or cars and may be harder to spot. 4) Take care of yourself and your car. When your car is in good condition, it is more likely to respond as you need it to, which can help you avoid collisions. When your car’s brakes, tires, and other systems are not correctly maintained, mechanical failure and accidents are more likely. In addition to taking care of your car, you also need to take care of yourself. Unfortunately, driver error remains a leading cause of crashes – and error is not always caused by drunk driving or distraction. Being unwell or using medication can affect your ability to drive. According to research studies, fatigue can have some of the same effects on driving as drinking. When you get behind the wheel of your car, make sure that you are in good physical condition. Have you been injured in a roadway accident anywhere in South Florida? Flaxman Law Group is a law firm with offices in Homestead, Hollywood, and Miami. Our legal team is fully committed to helping those who have been injured through no fault of their own get justice and compensation. If you have been injured, you can always contact one of our attorneys to find out whether you have a claim.